Japanese pop group Momoiro Clover Z is known for its unusual outfits. Sometimes the members dress like pirates. Other times, they dress like superheroes. Their latest album features the group's most outrageous outfits yet. And they look like rip-offs. Momoiro Clover Z, who sang the Pokémon Best Wishes! anime ending theme, just released a new album, titled 5TH DIMENSION. Album art features the group wearing spiky facemasks, and when it was first shown, fans lauded the cover for being striking and different. Designer Isao Tsuge created the album's artwork and oversaw the cover's "beauty direction". There are several different covers, and he wrote on his Facebook that he oversaw all three, Livedoor News reports. Tsuge is also known for doing posters for movies like Ichi the Killer and 13 Assassins, among many others. The costumes featured on the 5TH DIMENSION album look incredibly similar to the designs San Francisco-based designer Elena Slivnyak of Project Runway fame created for her collection last autumn and winter. A Japanese Facebook user pointed out the similarity on Tsuge's Facebook page and provided a link to Slivnyak's brand, IIMUAHII. Tsuge and Momoiro Clover Z's management have yet to comment on the issue. 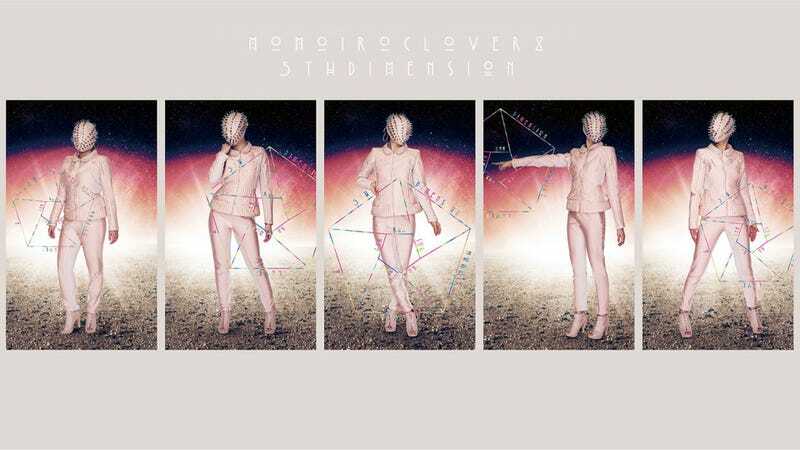 Update: Slivnyak wrote on Facebook: "To all IIMUAHII fans, especially the ones in Japan, I want to make an official announcement that the Momoiro Clover Z, 5th Dimension costumes were based on my concept and design from the Fall/Winter 2012 collection. King Records was given permission and the go ahead by me to do so. Further more, I'm very excited to announce that there will be a future collaboration on costuming between IIMUAHII and Momoiro Clover Z. I want to thank all of my fans from the bottom of my heart for your continuous support. Without you there would be no IIMUAHII."